A bill that will remake North Carolina’s court system passed the House chamber Wednesday night almost along party lines. 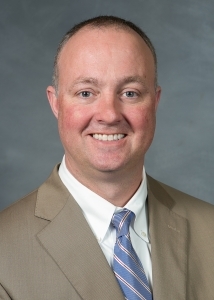 Rep. William Brisson (D-Bladen, Johnston, Sampson) was the only member of the minority party to vote in favor of House Bill 717, which passed 69-43 after almost two and a half hours of debate (which ended just before 10 p.m.). 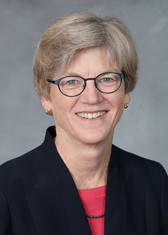 Rep. Marcia Morey (D-Durham) warned lawmakers before they voted that the measure to redistrict judicial and prosecutorial districts would have dramatic consequences on the state and its independent judiciary. “We’re removing the black robe, and next year we’re replacing it with blue and red robes,” she said. She and other members of the Democratic party questioned the drawing of the proposed maps, alleged gerrymandering, and African-American judges would be disadvantaged under new lines. Morey is also one of few lawmakers who brought up the bill’s more than $31.8 million price tag. Morey, a former chief district court judge, said the Bell Commission studied judicial redistricting for three years before implementing a plan that became the foundation of the current court system. They brought everyone to the table. The only other former judge serving on the General Assembly, Rep. Joe John (D-Wake) also spoke against the bill. He urged his colleagues slow down the process and reminded them that several judges and representatives of the legal community asked for inclusion and a more deliberative process. 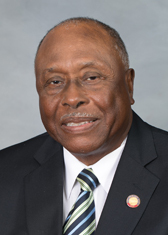 Similarly, Rep. Marvin Lucas (D-Cumberland) reminded lawmakers of his own judges’ opposition to the bill and the public’s expressed wishes to halt the redistricting process for more study. “If we’re representing the people, we must acquiese to the people, so my vote would be no,” he said. Several amendments to keep certain counties who failed and there was some debate about the overall accuracy of the workload formula being used from the Administrative Office of the Courts. Rep. Henry Michaux Jr. (D-Durham) focused on the implications HB717 has on race and diversity and minority representation and past litigation on those issues that has landed the state in hot water. Rep. Billy Richardson (D-Cumberland) said lawmakers this session have done everything to try to fix the judiciary except the right thing. “That’s getting judges out of politics,” he said. County, spoke in favor of the bill. Much of Burr’s points were ones that he’s made time and time again during the last few months at judicial meetings and legislative gatherings: Mecklenburg County needs to be fixed; the system isn’t for judges and attorneys, it’s for the people and the status quo is unacceptable to him. By the end of the night Burr became more annoyed. He accused people against HB717 of “crying wolf” and questioned opponents’ preferred timetable. Well, now they have to wait until at least January to see if the other chamber will pass HB717, because the Senate has adjourned this special session day. Earlier during the day, House Republicans pushed through a couple other bills that will affect the functioning court systems. One, Senate Bill 656 (now a conference report), which is now awaiting the Governor’s approval, would get rid of primaries for judicial elections in 2018. 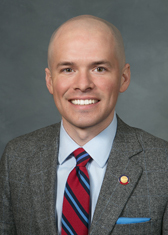 House Minority Leader Darren Jackson was most outspoken on the issue and said North Carolina had seen before the consequences of getting rid of those primaries. “Our next Supreme Court justice might be decided by who decides to file and how their names end up on the ping pong table,” Jackson said. Without primaries, anyone’s name could get on the ballot — there could be pages and pages on the ballot — and the winner could be elected with only 15-20 percent of the vote, Jackson said. “It’s just a terrible idea,” he added. So did Michaux, Morey and John. The latter two, both former judges, questioned why the state Supreme Court and Court of Appeals were included in the bill to eliminate primaries. “We need to give voters a chance to make informed decisions,” Morey said. The conference report passed 70-44. The other bill that passed yesterday was a technical corrections measure that would dictate Attorney General Josh Stein’s responsibilities so that he could no longer delegate criminal appeals to district attorneys. The measure also does a lot of other things that were debated, but this one pertains to the courts. The move was made after the legislature cut Stein’s budget by $10 million and dictated that it come from his administration department. He cut 45 positions, of which 23 were attorneys, three of whom handled criminal appeals. The office still has $3 million to cut. The AG’s Office responded to the technical corrections bill by asking for more resources. You can read more about the bill here and more about the initial surprise budget cut here.